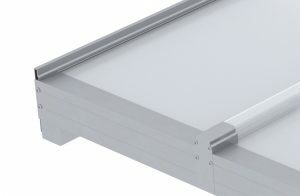 A double glazed roofing system, built from cassettes, connected through Danpal’s well-known standing seam connection. If features hidden glazing columns which provide high resistance to wind and snow loads. Danpatherm double glazing features Softlite, a special finish manufactured into the panels to eliminate glare and ensure even light transmission. With Softlite, interiors are evenly lit with a gentle and diffused light. Softlite is one of a wide range of finishes offered by Danpal®. 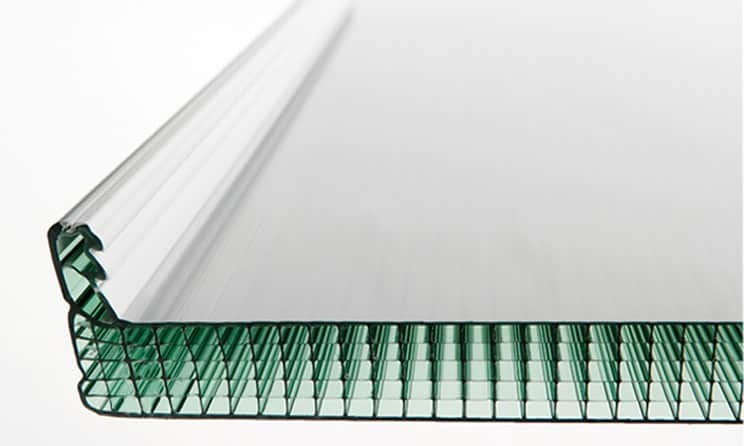 Danpatherm RK7, the unique Double Glazed Roofing System, redefines what’s possible in the world of roofing. 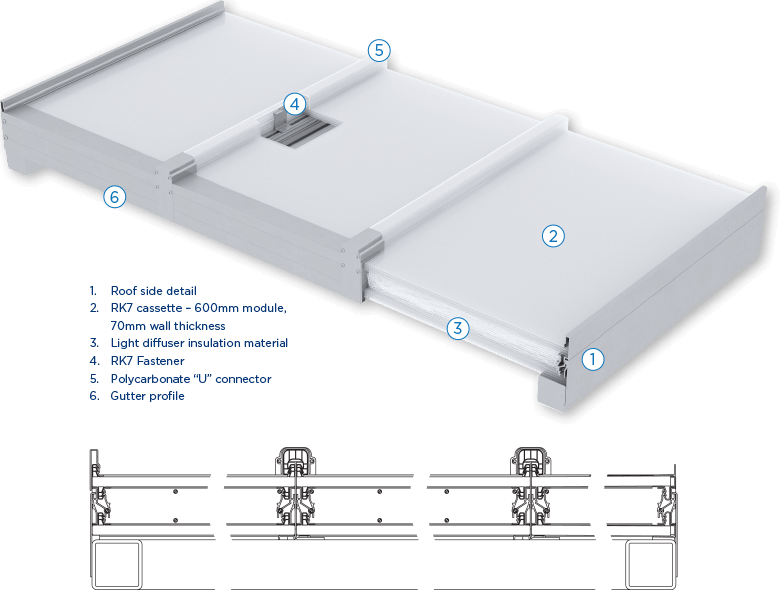 Designed to create the ideal environment with perfect light, shade and sound, this new roofing system provides superb light transmission, thermal performance, sound insulation and spanning capabilities. 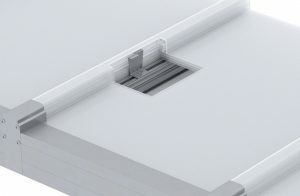 Danpatherm RK7 offers total versatility for adaptive environments. The dynamic nature of the system offers the flexibility to design daylighting systems that have a larger aperture without the traditional risk of over lighting or overheating a space. 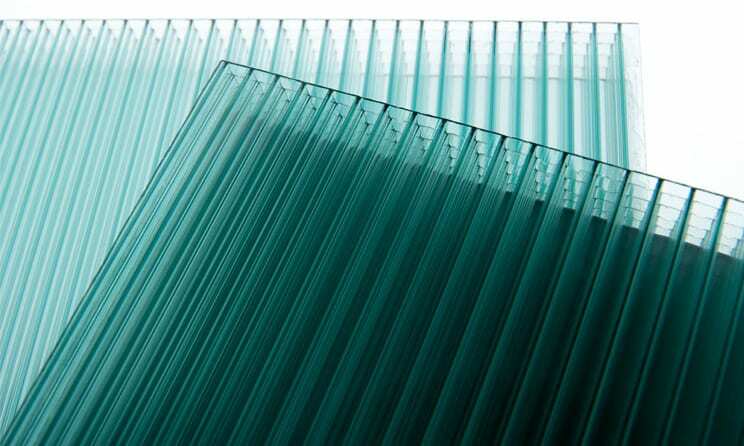 Inner and outer panels come in a variety of glazing colors, extending the creative possibilities. 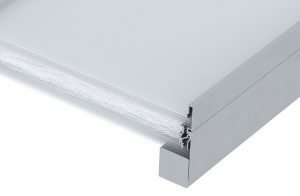 This unique, factory-assembled building system is quick and easy to install, reducing labor costs and installation time. External panels can be removed if necessary without affecting the building envelope. Pre-fabricated off-site, this cassette panel system prevents moisture and dirt penetrating between the panels. 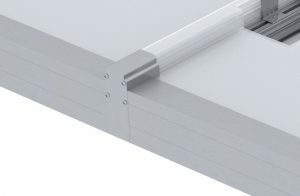 Built from cassettes and connected through Danpal’s well-known standing seam connection, Danpatherm RK7 features hidden glazing columns which provide high resistance to wind and snow loads. 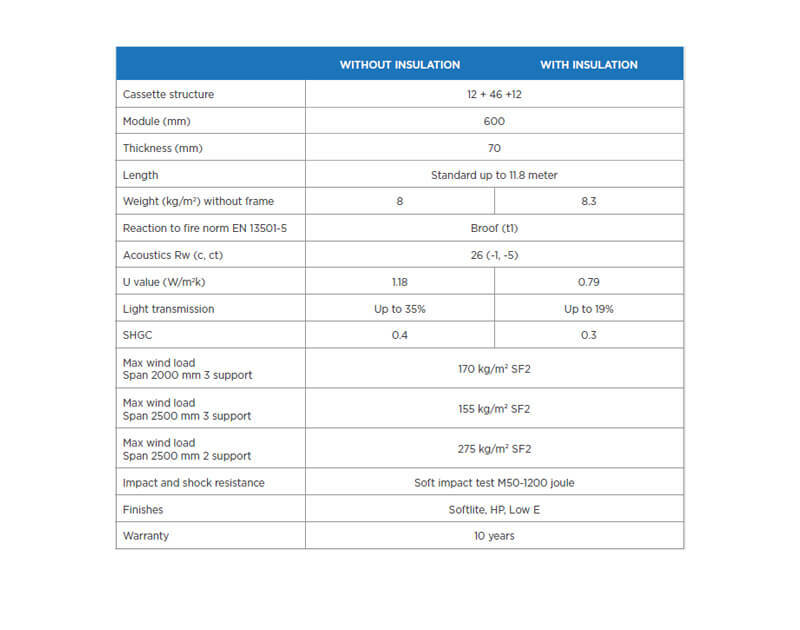 Danpatherm RK7 can span more than 3 metres unsupported, significantly reducing requirements for secondary steel framing.